Dengue fever is said to be a new type of fever whereas actually it is not so. Dr. William Boericke’s "Pocket Manual of Homeopathic Materia Medica and Repertory" whose preface was written by Dr. William Boericke himself in San Francisco in June 1927 mentions of Dengue Fever. On page 924 of this pocket manual, Dr. William Boericke has listed twelve (12) medicines for Dengue Fever, which clearly indicates that this type of fever was known to homeopathic doctors even in 1927. So calling it a new type of fever is not right. Some of the medicines that he has listed are Aconitum Napellus, Arsenicum Album, Belladonna, Bryonia Alba, Cantharis, Cinchona Officinalis, Eupatorium Perfoliatum, Gelsemium, Ipecacuanha, Nux Vomica, Rhus Toxicodendron and Rhus Venenata. As is customary, Boericke has written abbreviated names of the medicines but here are full names for convenience of the readers. Dengue fever is caused by virus transmitted by a particular type of mosquito. It is a clean water mosquito, black in color with white spots on it and usually stings during the day. 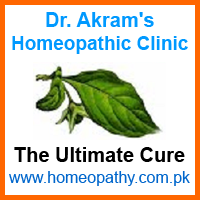 Common symptoms are high fever, headache, severe weakness, severe muscular and joint pain. In some cases it may also cause rash on the body. As the disease progresses, platelet count starts dropping. After a certain level hemorrhage starts, which might bleed the patient to death. Do not let the water pound in and around your house, not even in the lawns and flower pots. Keep all water containers covered. Wear full sleeve shirts and also use socks. Anti-mosquito spray to kill the mosquitoes at dawn and sunset time. Keep the doors and windows closed if you live in the epidemic area. As a preventive homeopathic medicine, Eupatorium Perfoliatum 200 has a reputation. It should be used in some water about twice a week but please remember that use of this medicine should not urge you to ignore other preventive measures. Every type of fever is not dengue fever but if you feel any of the symptoms written above, have yourself medically checked. If dengue infection is detected, immediately go for the treatment. Remember that a badly treated or untreated case of Dengue can be fatal. Homeopathic treatment is quite effective not only for Dengue fever but also for all other types of fevers. Out of the twelve homeopathic medicines listed above, more commonly used are Aconitum Napellus, Eupatorium Perfoliatum, Gelsemium, Arsenicum Album and Belladonna according to the symptoms but this is not the end. If the symptoms call for it, your homeopath would probably choose yet another medicine. If the disease has already advanced and hemorrhagic state has set in, there are many homeopathic medicines to stop the hemorrhage, which must be chosen according to symptoms of the individual. Using the same medicine in every case might not be a wise option and might result in failure of the treatment. In addition to the regular treatment, using juice of Papaya leaves can do lot of good and rapidly raise the platelets. If Papaya leaves are not available in your area, you can use fresh apple juice with few drops of fresh lemon. Do not use synthetic juices. There are several other dietary items that can be of help, which your doctor should advise according to the stage of the disease and needs of your body. There are other home remedies to lower the fever but going by the advice of the doctor should be preferred rather than going for self treatment. If you are infected with Dengue, consider homeopathic treatment.